Dental Restorations can be made out of several different materials, but the material chosen most often is porcelain. Significant advances in technology has made all porcelain dental restorations not only the most esthetic material, but one of the strongest as well as. Porcelain Dental Restorations are a great way to restore a single tooth or provide a full smile makeover! 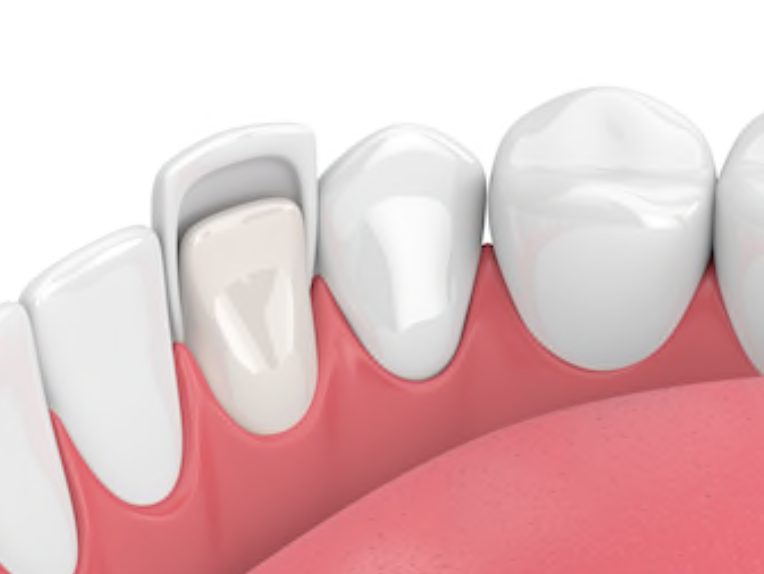 There are many different types of porcelain dental restorations and different reasons for the use of each one. Page Dental Arts uses highly skilled ceramists at dental laboratories located in the United States only. We never use overseas labs. Listed below are some of the porcelain restorations available at Page Dental Arts. to correct misaligned, severely worn or discolored teeth. The tooth being treated will be numbed to ensure your comfort. The tooth will be prepared by removing enough tooth structure to make room for the porcelain. After the procedure is completed a mold or impression of the area will be taken. A temporary crown is made and affixed to your tooth. The temporary crown is removed and the porcelain crown is tried in and checked for proper fit. After this procedure the tooth may experience increased sensitivity to cold. Teeth that have been crowned still need proper home care, including appropriate brushing and flossing, as well as routine dental check-ups to keep the affected teeth healthy. While no dental treatment is considered “permanent,” porcelain crowns are very durable and when properly cared for can last a very long time. To restore severely chipped or fractured teeth. To replace less attractive older fillings or bonding. Typically veneers are used exclusively on the front teeth and while a single veneer can be completed to correct one tooth, most cases involve multiple teeth to create the desired effect. In cases involving multiple teeth, we will typically create a 3D mock up or digital presentation before any treatment begins to ensure a beautiful end result. Porcelain veneers are a great way to achieve a beautiful and bright smile. The procedure itself usually takes two appointments to complete, however, one or two consults are usually recommended to discuss your desired results and provide you with a digital presentation of how the end result will look before we ever get started! A dental hand piece may be used to shape the tooth to make room for the porcelain veneer. In some cases, no anesthesia or tooth shaping is needed. A mold or impression is then made and sent to a dental laboratory to make the porcelain veneers. Temporary veneers are made and affixed to the treated teeth. They are then bonded to the teeth. After this procedure the teeth may be initially more sensitive to cold. A night guard may also be recommended at the end of treatment to help protect the porcelain veneers. Teeth that have been veneered still require proper brushing and flossing at home as well as regular dental check-ups to prevent cavities and gum disease. No dental restoration is “permanent,” however, porcelain veneers are very durable and will last a long time. Porcelain veneers are a great way to correct or improve your smile. Sometimes a tooth cannot be saved and needs to be removed. 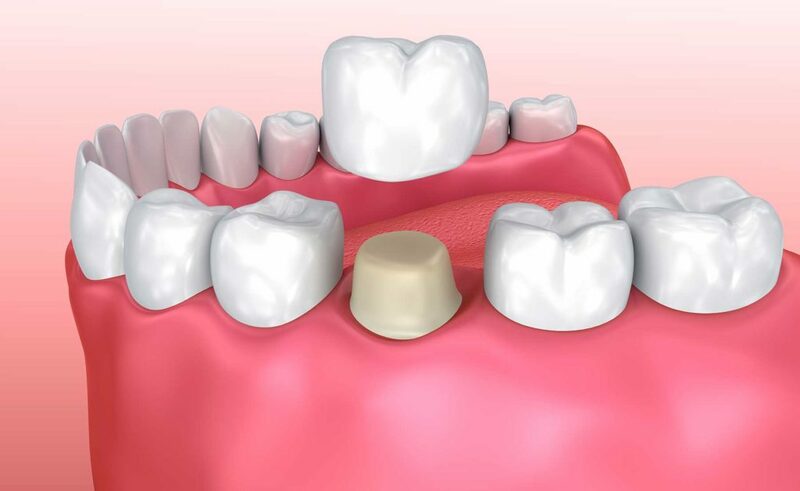 A porcelain bridge is an available option to replace a missing tooth. Bridges are a dental restoration that connects the teeth on either side of the space where the tooth is missing. While bridges can be made of several different materials, Page Dental Arts recommends porcelain in most situations. The area being treated will be numbed to ensure your comfort. Next, the teeth surrounding the affected area will be prepared with a dental hand piece to remove enough tooth structure to make room for the porcelain bridge. A mold is then made and sent to a dental laboratory to have your porcelain bridge made. A temporary bridge is made and cemented to your teeth. It is then cemented onto the teeth. After this procedure the teeth may experience increased sensitivity to cold. The area that has been bridged still requires proper home care (with appropriate brushing and flossing) as well as routine dental check-ups to keep the area healthy. 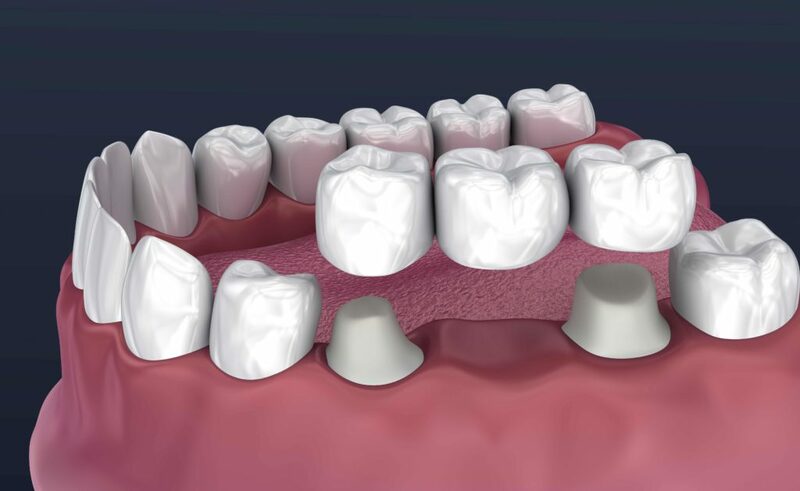 While no dental treatment is considered “permanent,” porcelain bridges are very durable and should last a long time.